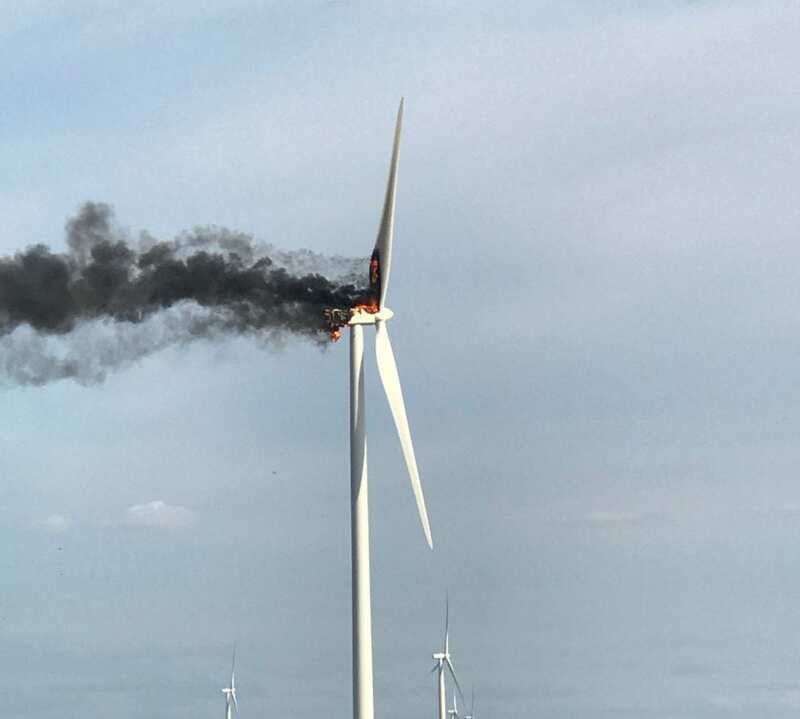 ELKTON, Mich. (AP) — A wind turbine fire in Michigan sent black smoke billowing into the air and drew spectators who watched as flaming debris fell to the ground. There were no injuries due to Monday’s fire in Huron County near the village of Elkton, about 100 miles (161 kilometers) north of Detroit. The Huron Daily Tribune posted video of the fire . Crews couldn’t reach the fire at the turbine’s top, so it was left to burn itself out. Exelon Generation says the turbine is part of its Harvest Wind II project and operators deenergized other Harvest Wind II turbines as a precautionary measure. Be the first to comment on "Wind Turbine Fire In Michigan Draws Spectators; No Injuries"